Looking for a solution to rising energy costs in Michigan? Imagine that you reduced or even eliminated your electric bill. How would that affect your monthly stress level? 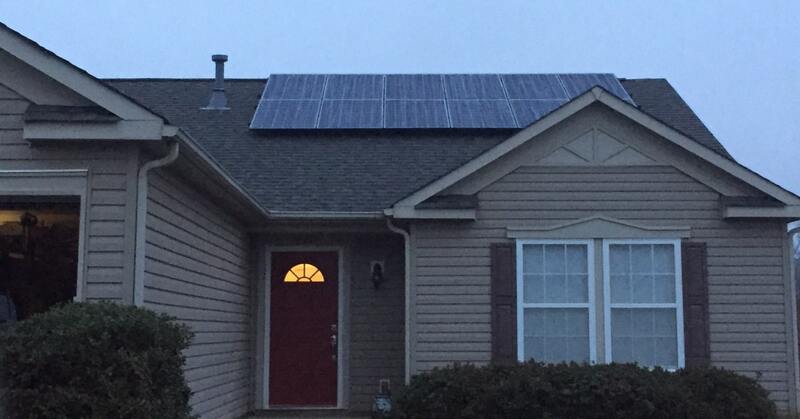 Isn’t it time you begin saving money with solar power in Michigan? Michigan is a state on the rise in the solar industry. At POWERHOME Solar, our goal is to help homeowners in Michigan save money on their utility bills now and in the future. As the leading Michigan residential solar energy company, our mission is to revolutionize how Michiganders get their energy. As leaders in solar power, we’re proud of our accomplishments. We’ve won awards and accolades that make us stand out from other solar companies. But it is the fact that our customers have realized hundreds of thousands in savings that is our most prized reward. In addition, our commitment to using only American-made solar panels sets us apart from other solar panel companies. POWERHOME Solar supports the Detroit Lions’ Go-Green initiative with solar panel installations that increase energy efficiency and lessen the team's carbon footprint with clean, renewable energy. The parking garage at Ford Field and the team's training facility in Allen Park now use solar energy. 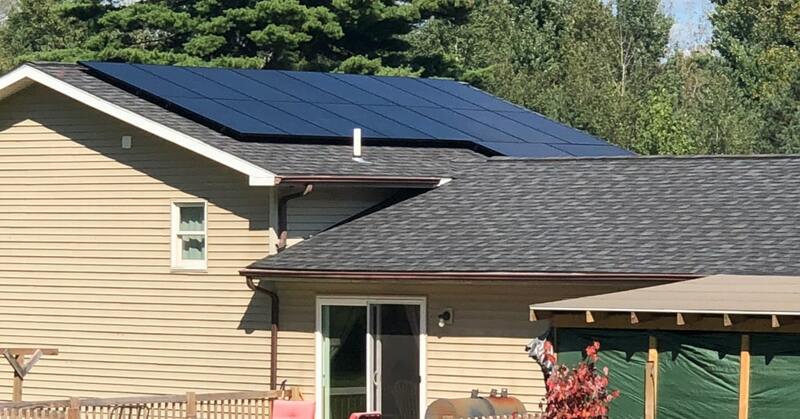 Michigan homeowners who switch to solar panels will be able to take advantage of a 30% federal tax credit and the state’s favorable net metering program. When you switch to solar energy in Michigan, you get full credit for any surplus energy your solar power system generates. Plus, your solar credits never expire, so you can accumulate them for months and use them later. This means you can accumulate credits during the sunnier, summer months and use them in the winter. At POWERHOME Solar, we believe you deserve to be free from worry over your power bill. Our goal is to help you reduce your utility bill while also doing a good deed for the planet. In addition, we do our best to make it not only easy but affordable. Often, people consider switching but don’t because of the misconception that Michigan solar panel installation is expensive. That’s not the case when you choose POWERHOME Solar. With our $0 down, $0 out-of-pocket expense and 100% financing plan, you’ll begin to see a reduction on your electric bill without spending a cent. Or, you can opt to purchase your solar panel system with no financing. Starting the solar panel system installation process is as simple as making a phone call. During our initial consultation, we will determine if you and your home qualify for solar power. Then, we’ll make an appointment to come to your home to collect additional information. Our energy consultant will analyze your energy use and inspect your home to see what type of solar panel system works best for you. You get a proposal tailored to the energy requirements of your family. After you make the decision to switch to solar power, before you know it we’ll be calling to set up an installation date based on your schedule. Unlike many other solar companies in Michigan, we’re also a GAF-certified roofing company. Our team is professional, dependable and knowledgeable about up-to-date roof installation techniques. Although there are sunnier states than Michigan, the state gets an average of more than four hours of peak sun a day. This is more than enough sunlight to generate solar power. This puts to rest the myth that solar energy won’t work in Michigan. The technology of Michigan solar panels has reached peak efficiency. The modern, sleek and practical design of solar panels seamlessly blends with your roof. The panels are engineered to capture as much solar energy as possible and use it to generate the energy that powers your home. 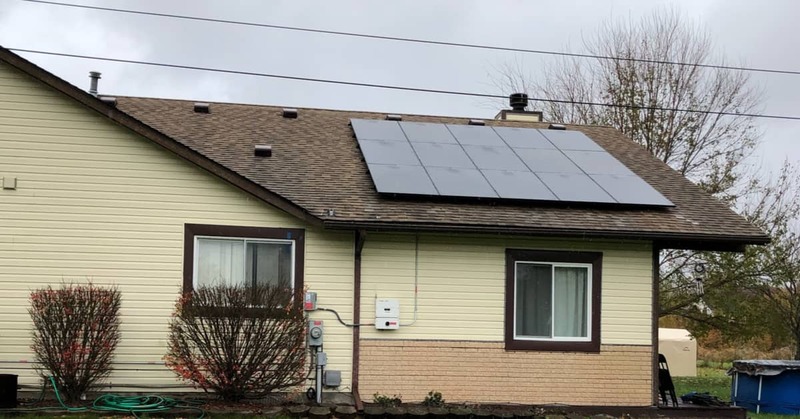 When you combine the affordability of a solar panel system, rising electric rates and the 30% federal tax credit, you can see how going solar in Michigan can save you money. No matter where you live, the electric bill is a pain point in your finances. And, if you live in Michigan, your energy cost is among the highest in the nation. Which means, when you switch to solar power, you’ll be saving more than most of the country. The reduced cost of installing solar panels and their increased efficiency make them the best defense against constantly rising energy bills. With solar panels installed by POWERHOME Solar, you no longer have to worry about sudden fluctuations in the energy market that will adversely affect your bill. Sunshine is clean, renewable and efficient. When you use solar energy to power your home, you see lower energy bills for the lifetime of your solar power system. How Much Will Solar Panels Save Me in Michigan? One of the main reasons why people switch to solar panels is the savings they see on their electric bills. However, how much you will save depends on a variety of factors. Contact one of our solar consultants to find out approximately how much you can save using solar energy. Will Solar Panels Damage My Roof? When installed correctly, there is no danger of solar panels damaging your roof. In fact, they become an asset, turning your roof into an energy supplier for your home. We are not only a solar company, but also a roofing company. You can feel sure that when we install your solar panel system, it will be installed correctly. As long as there is sunlight, your solar panels will generate power. Even if it's cold or cloudy, sunlight will reach your solar panels. In fact, the cold weather can increase the efficiency of your system by reducing the amount energy that is sometimes lost to heat. And the snow often reflects light, improving the overall performance of your system. If your solar panels are covered with too much snow, solar production will be affected. Call 616.213.0993 today and start saving money with solar. ​How Many Solar Panels Will I Need to Power My Home? Copyright 2019 © POWERHOME, LLC.